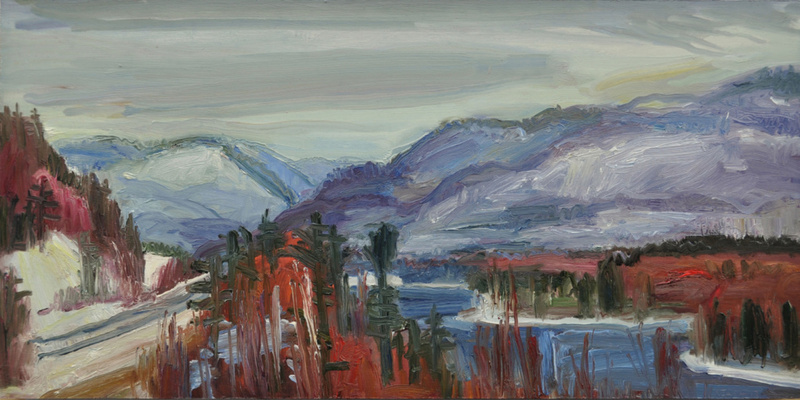 November, Pinchgut Lake , 24"x 48"
Jane Reagh has an MFA from Parson’s School of Design in NYC, a BFA from NSCAD University in Halifax, and a BA from the University of King’s College in Halifax. 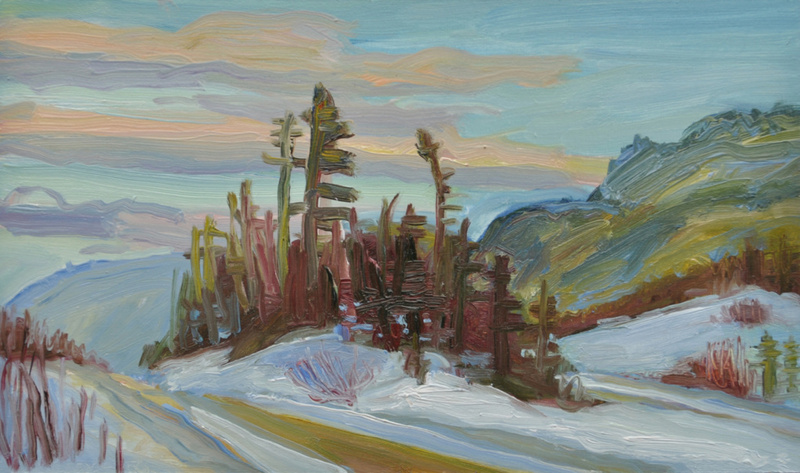 She has painted in many places in Canada, the US and Europe, most recently in Corner Brook NL, where she lives with her husband, Lawrence Bruce-Robertson and their three children. 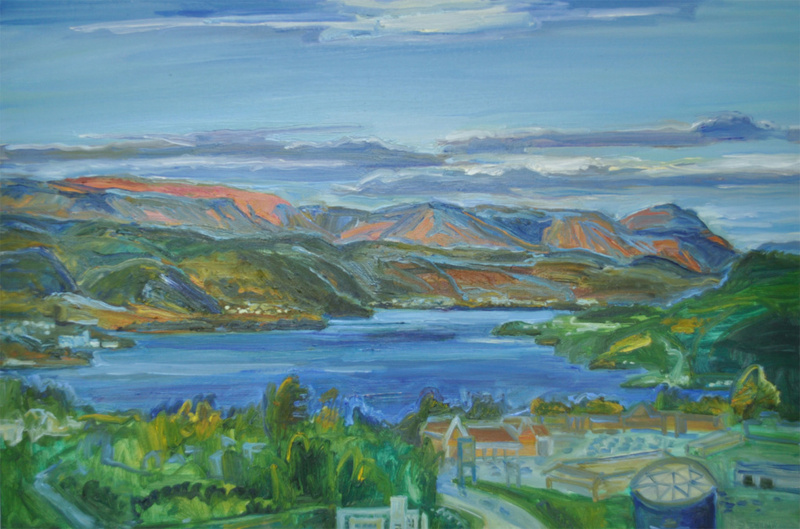 Recently her work has focused on painting the landscape in and around Corner Brook. 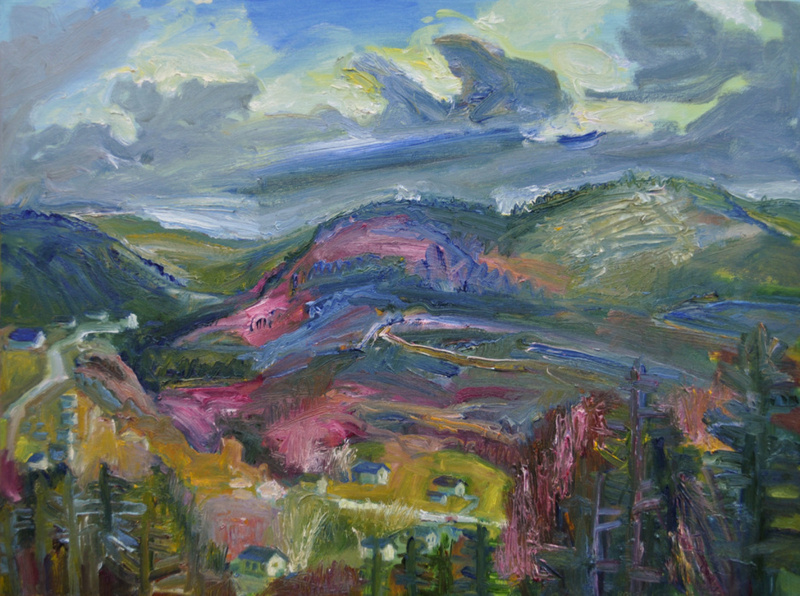 She has been exploring the process of allowing the paint to speak as paint, at the same time as engaging with what the land has to say. “I moved to Corner Brook in 2013. 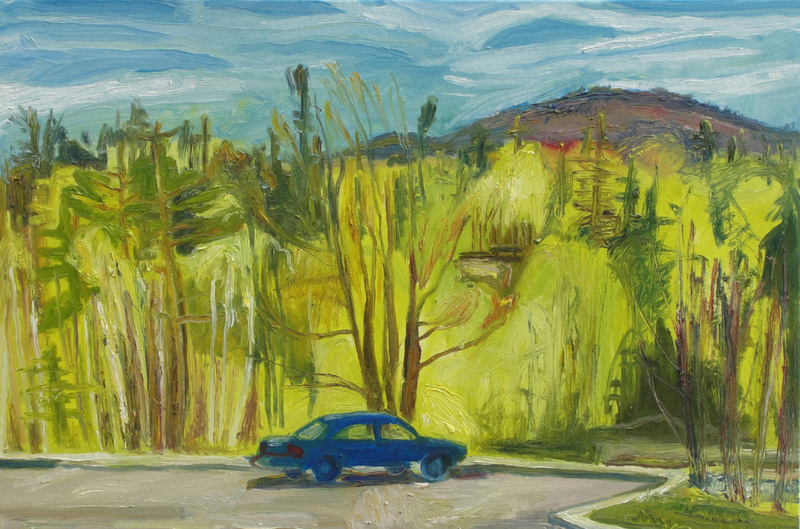 The stunning landscape around Corner Brook has been the focus of my painting for the last three years. I think of this land, the changeable light, the water, and the mountains, as something, almost someone, to be heard and understood. Every place and every time has something different to say. 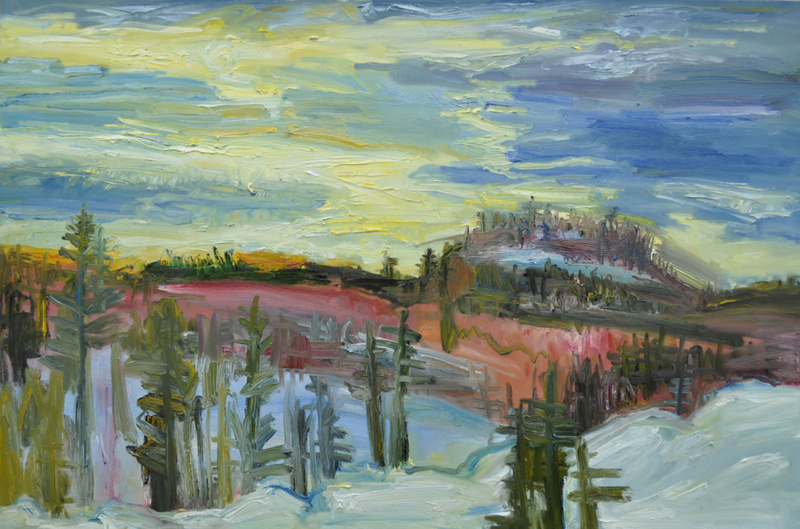 I like to be out painting IN the landscape, feeling the wind, seeing the storm move up the Bay. 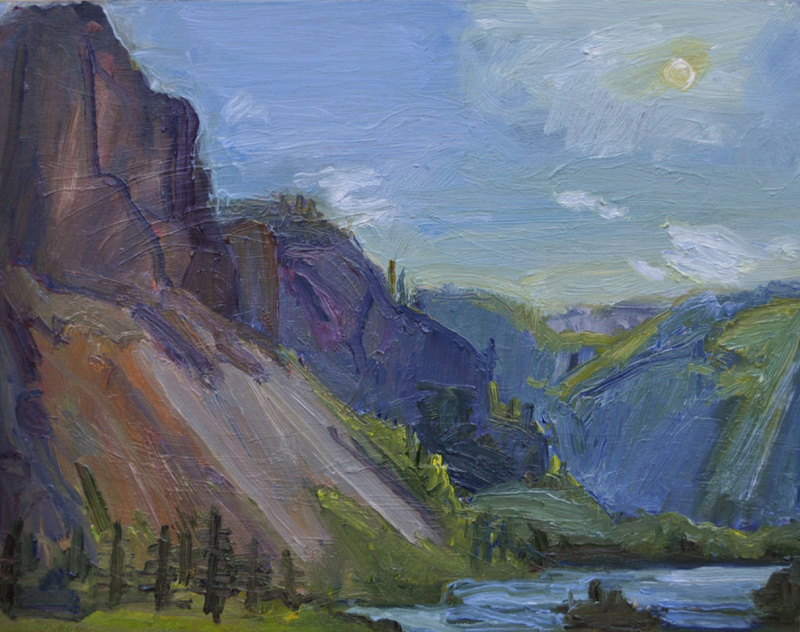 I often paint in the same spot again and again and each painting becomes a record of my time engaging with the land. This is technology–free painting. I believe that Western Newfoundland needs people who will listen to it – people who are willing to get cold or wet, to be blown around, or get bitten by flies. These are paintings that are about being out there.